The city of Chania is of great beauty that deserves to spend many days to manage to visit all the places of interest inside and outside the city! A Car hire in Chania will serve you, especially when you discover how many unique and different landscapes you will encounter, while you should not miss a morning walk to the Tombs of Venizelos, on a hill with views that will take your breath away. 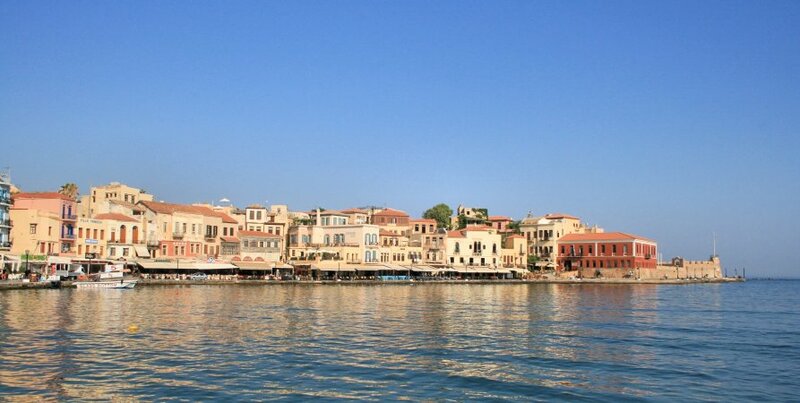 The rich heritage of Chania, is one of the main reasons Chania has a great touristic developement. Not only for the archaeological interest and the archaeological museums, ancient Kydonia and ancient Aptera among many, but for the monuments and architectural heritage from the Venetian period and later years. When you visit the enchanting Chania, do not forget to walk the Municipal Gardens, below the clock tower. The Public Garden, has a traditional coffee shop to enjoy a cold coffee under the shade of evergreen trees, while during the summer season, there is a municipal summer cinema. The town clock, located in the northeast of the garden was built in 1927. As already mentioned, you must not miss the panoramic view from the Tombs of Venizelos. The hill is full of pine trees, with unique beauty and is home to the graves of a great prime minister of Greece Eleftherios Venizelos (1864-1936) and his son, who also served as prime minister. Going back to the city center, a walk around the Municipal Market, will delight you, as it is located in a beautiful jewel-building 4000sqm right in the city center since 1911, where today you can find local products and souvenirs. A walk in the old port of Chania and the alleys of the old town will delight you with the characteristic Egyptian lighthouse, dominating in the old harbor since the late 16th century. With your visit in Chania, do not forget to honor the unique Cretan diet, which is famous for the longevity of its inhabitants. The wine, olive oil and traditional dishes such as Sfakiani Pie, ofto, syglino, kreatotourta, snails, dakos, staka and of course raki, are some of the many foods and drinks that will be unforgettable!